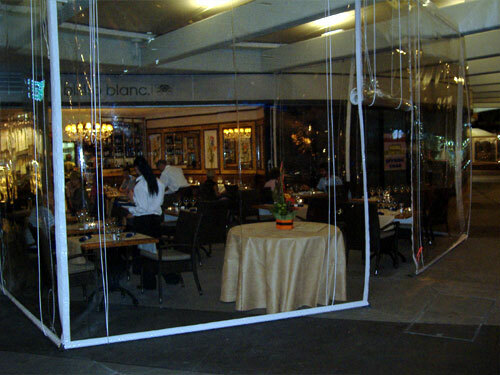 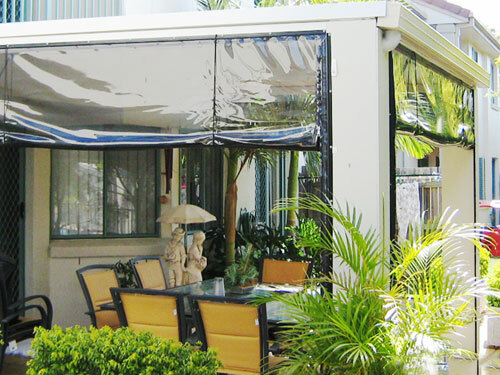 These blinds are so called because typically it is a style often incorporated in to the out door dining area of cafes & restaurants. 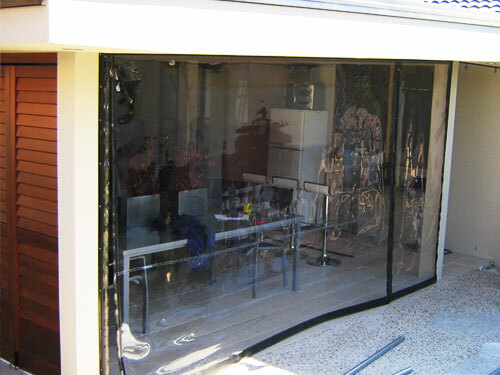 Available in clear or grey tint, the PVC most often used is a .75mm with zipper sides raising and lowering on a rope & pulley system making the operation smooth & easy. 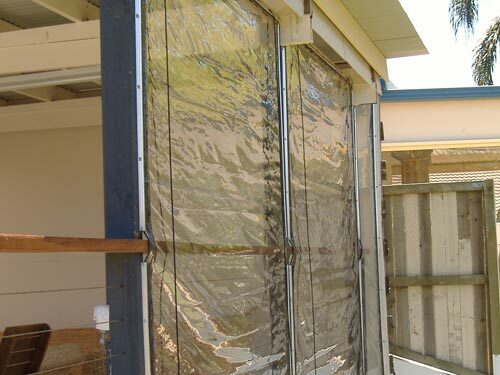 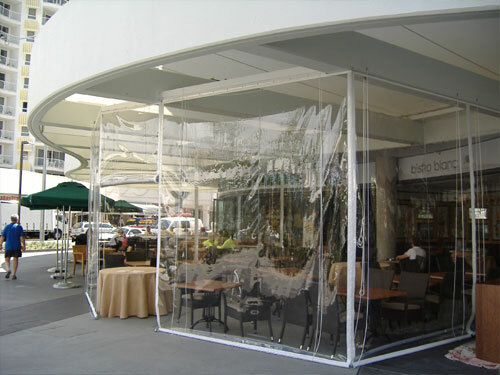 In the closed position this style of awning creates a seal against the elements thus closing in an area that can be made comfortable with heating or cooling but still allows clear view from within or from out side. 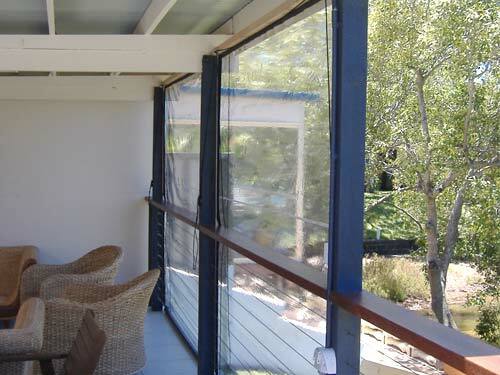 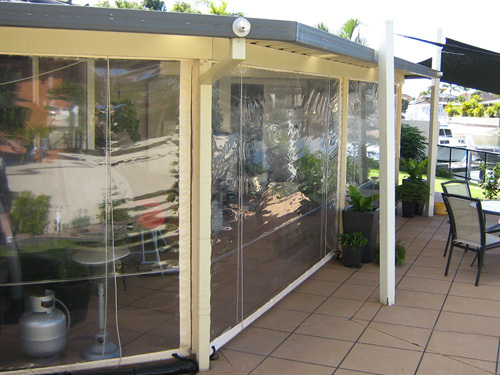 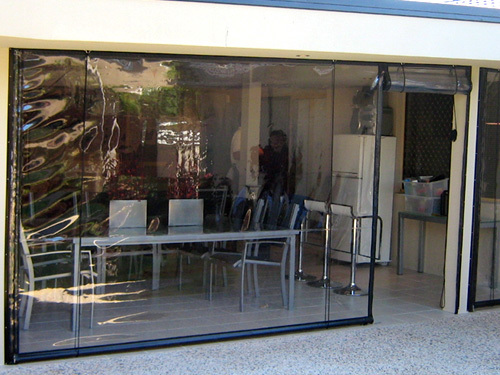 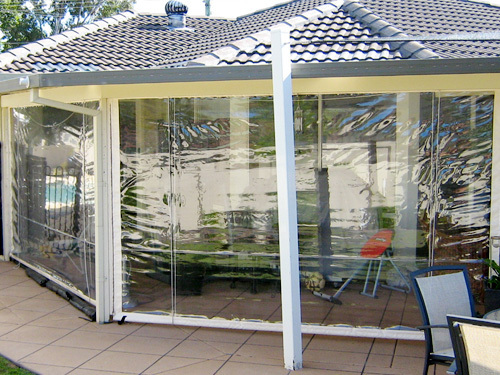 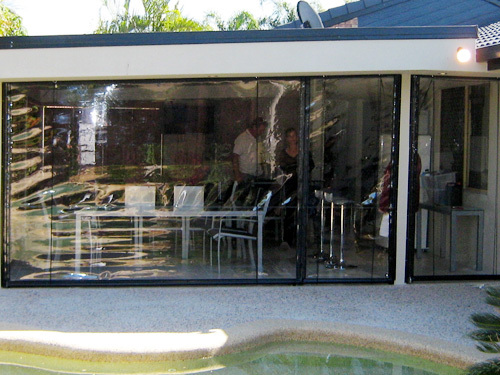 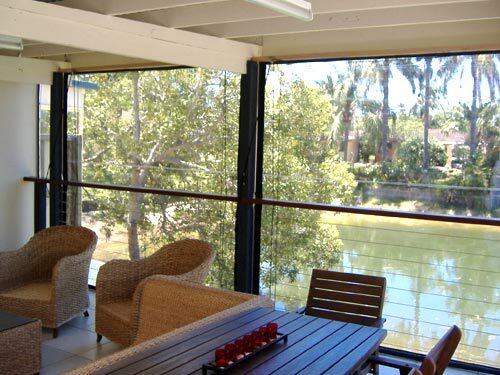 More & more Cafe Style Clear Awnings are being incorporated in to domestic verandah and patio areas as a practical and affordable weather proofed extension of living space.